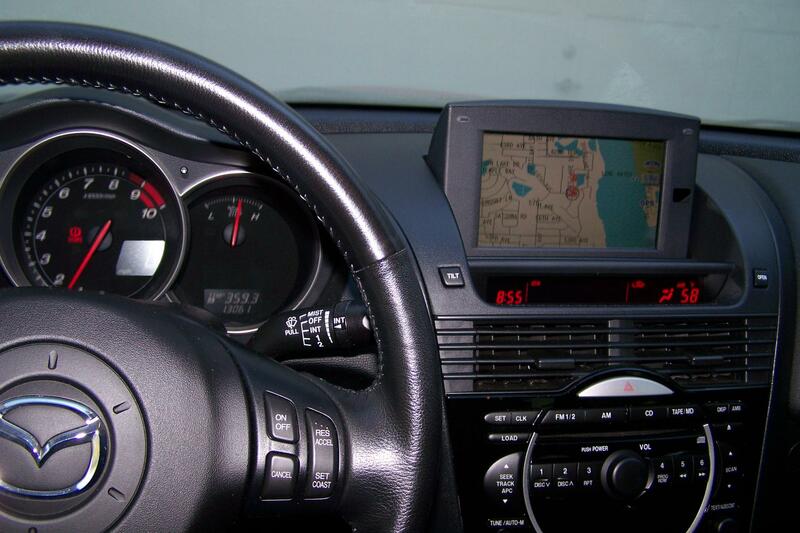 THIS CAR IS IN EXCELLENT CONDITION!! ONLY HAS 13,064 MILES ON IT NOW 1/5/2014 !! ALWAYS GARAGE KEPT !! HAS EVERY OPTION YOU CAN GET! GRAND TOURING PACKAGE, NAVIGATION SYSTEM, ELECTRIC SUNROOF, LEATHER SEATS & INTERIOR, BOSE UPGRADED STEREO AND SPEAKERS, SIX SPEED SHORT THROW MANUAL TRANSMISSION, HIGH INTENSITY HEADLIGHTS AND FOG LIGHTS, 1.3L ROTARY ENGINE, HEATED SEATS , FACTORY CARPETED RX-8 DESIGNER FLOOR MATS THOUGH OUT, COLD AC, FOUR SEAT SPORTS CAR & FAMILY CAR COMBINED, VELOCITY RED MICA , BLACK LEATHER INTERIOR, SPORT WHEELS, ADULT OWNER, ETC. THIS CAR IS A TRUE PERFORMANCE CAR! PLEASE E-MAIL : [email protected] or leave message at 727-319-3448 ALSO CAR HAS BEEN REGULARLY FACTORY MAINTAINED AT DEALERSHIP !! SEE ORIGINAL STICKER AS ADVERTIZED. 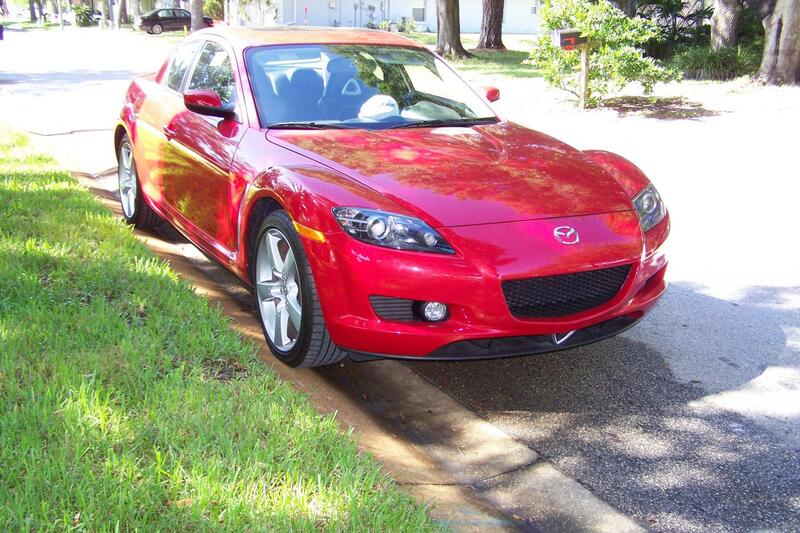 REGISTERED WITH MAZDA RX-8 CLUB!!! OR BEST OFFER !!!! PRICE JUST DROPPED BY $1,500.00 !! HURRY !!! PURCHASED A TRUCK TO BETTER SUIT OUR NEEDS. First off I hope it's not a 4 valve engine as listed? Secondly "driven like a kitten" is not a selling point with these cars, though with the mileage that low it's probably not too late to save the engine hopefully with a little bit of enthusiastic driving. Thirdly even though it's low mileage and good condition, for a 2004 first gen with a host of potential problems in it's future and now it's extended engine warranty being very close to expiry with very low engine mileage which in this case can potentially be an issue not necessarily a bonus, my perception is the price is a fair bit ambitious still even with the reduction. I'm in Orlando but work in Seminole and might be interested, but not at that price. PM me and maybe we can talk.. BTW the ad is a bit confusing it says Seminole, but also St. Petersburg which is in the opposite direction so which is it please? Last edited by FunRun8; 12-28-2013 at 10:11 PM. Thank you for replying !! FunRun8 Wow ! What a drive (Orlando) This is truly A MUST SEE CAR !! Looking at RX-8's , most have 100 k plus miles . And the price is more then what we are asking , I haven't seen anything that compares to this car !! Please be careful driving !!! We have a St Pete address . I would not consider ANY 2004 with 100k miles without docs demonstrating a recent engine change and even still, in fact nothing over 60,000 IMO.. After my post I did a KBB search and yes I was right, it is priced high even at your reduced price, in fact by several thousands even with an "excellent" condition rating so if you're firm (or even very close) then it'd be out of my comfort zone at that price. I'm not certain why your ad says Seminole then? As that's just up the road in the eastern direction from me, not the west coast where St Pete is.. Oh, I see, you're in Seminole Florida, not Seminole county..
Last edited by FunRun8; 12-29-2013 at 11:24 AM. The price has been reduced to sell this car fast !!!! Who ever buys this car is getting a super deal, its never been in any accidents like some of the other cars on here. Also has all original parts !! Its a real head turner. Will consider all offers ! Thanks for looking !!! Don't take my word for it.. Based on the info you posted and even giving the benefit of the doubt and adding some high end features you don't mention like multi-disk CD and rear wing they value it at just under $9000..
Don't know if the link will work or not? Then without much searching there's these close by maybe you'll see what I mean? 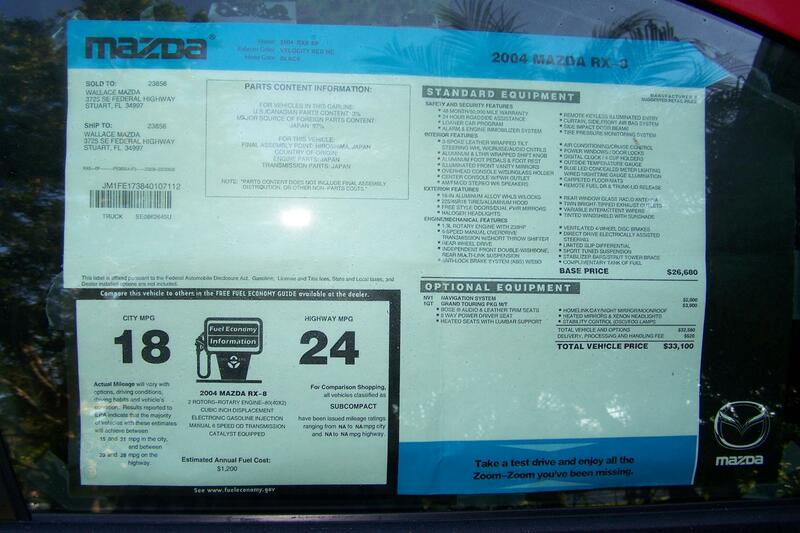 Many newer models still close in price especially the 2009. Last edited by FunRun8; 01-04-2014 at 10:46 AM. Sounds like you nothing about the car, also would be better if your post sounded like a real person trying to sell the car not some saleman. Funrun8 is asking questions and yet your next post stilled sounded like a sales pitch. Buyer beware. I wonder if someone ran the vin and used an obd2 reader on the pcm what the mileage would show up as.. something about this sounds pretty sketchy, and the seller sounds like the many car salesmen i ran into when buying my 8 who had no knowledge about the car and was trying to sell it as quick and for as much as possible.. i get we all need to make a living, but something about this seller and car just isnt right. 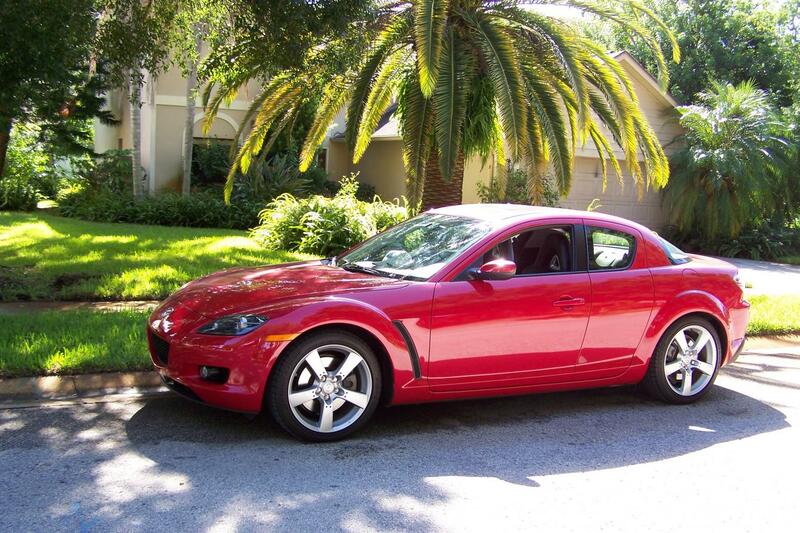 hopefully for the seller he may be able to enlighten us on the details of the car..
We are selling the RX8 because we purchased another vehicle that suit our needs better. If you were interested in finding out more about the true value of our RX8 and it's present condition, you would have to personally see it, otherwise your opinion is not unlike any of the salespeople we've talked with, who quote the Kelly Blue Book offer, sight unseen. ALL of the many who have seen the car personally have advised us to sell it outright to get the best offer price because of it's excellent condition and low mileage, and some HAVE run the VIN#. what is cars vin then? are there any issues or check engine lights with the car? original paint? clean or salvage title? any modifications done to the car? just a few basic questions. again not trying to thread crap, but something doesnt seem right..
Last edited by Xero Ryuu; 01-04-2014 at 11:36 PM. The mileage on this RX-8 is real ! Verifiable thru dealer and Mazda service center ( Tyrone Square Mazda ) , insurance company , motor vehicle registration, neighbors and God ! It has never been in any accidents , has original everything ! Has not been repainted , has original motor . Was planning on keeping it as a show car since we never drove it. We drove a Honda Insight , I dropped my wife off for work and I had a garage at my work so that car was kept out of Florida sun. 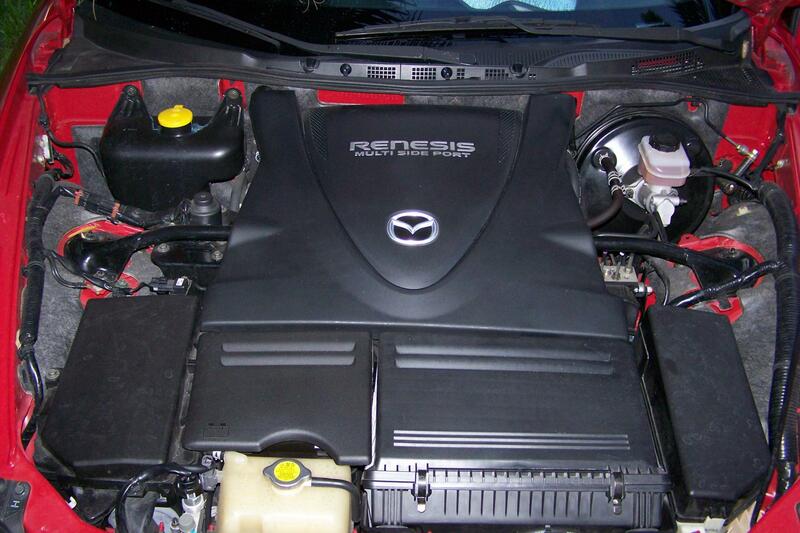 The RX-8 had cover on it in the garage to keep the dust and dirt off. We started it to keep the battery charged. No, I'm not a salesman, but thanks for the compliment VIN # JM1FE173840107112 Dealer was going to give us almost as much as we are asking for the car, when we purchased the new truck. Someone's going to get a nice car !!! ^Ok so no new info then? If you checked my links and understand I put in it in at excellent condition (the highest possible rating) with the additional features I mentioned and the mileage you mentioned you'd understand why you're not getting a lot of interest at that price if you're firm.. The series one was an experiment in a sense and had pretty significant issues so it's going to need a lot of updating and improving at cost regardless of mileage and previous care and every one here knows that. At least most everyone here.. It also has a potentially expensive engine problem in it's future that may be unavoidable regardless of care too and your's is in good shape and on the cusp of warranty expiration and likely will not see that engine issue before it does expire leaving that cost to the next owner.. Also by it not being driven regularly it has not been blown out and lubricated regularly and this can add to the problems. BTW I'm pretty certain it wasn't his intent to be complimentary on the salesman comparison. Last edited by FunRun8; 01-05-2014 at 09:50 AM. Regardless, I agree the KBB is a guideline but that's also up to the purchaser and your car is way over their guideline IMO and this alone will keep many like me away from even viewing the car if the price is firm. You keep mentioning "other people" but yet you still have the car and are listing it seemingly every place you can to sell it? Their listed value is the TRUE value and then one goes from there, not what YOU think it to be..
JFYI dealer values, which are based on trade in value, are even lower than a private sale which is also what I used as a guideline doing my input.. Anyway good luck with it, it sounds like a nice car but I'm feeling it needs a pretty significant price adjustment. Last edited by FunRun8; 01-05-2014 at 10:08 AM. I just sent the OP a PM, after he reported his own post. People have legitimate concerns, and I provided the OP advice on how to address those concerns properly. Thanks for your help Verbose !!!!! Congrats on your sale. Just curious, since you were successful and have it sold, what price did you get for the car ? Each of my past three RX7's resold for more than KBB said they were worth since I kept them immaculate and in perfect mechanical condition with good compression numbers on both modified and stock FI rotary engines. So whatever you got for your RX8, the only thing that matters in the end is that both the seller and buyer are happy with the deal. Last edited by gwilliams6; 01-14-2014 at 01:12 PM.